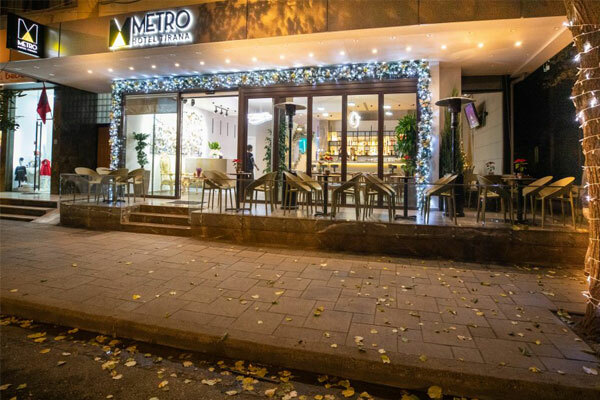 Metro Hotel is a brand-new hotel in Blloku area, center of Tirana. The Hotel is situated in Nikolla Tupe Street, next to Vila Ferdinand. 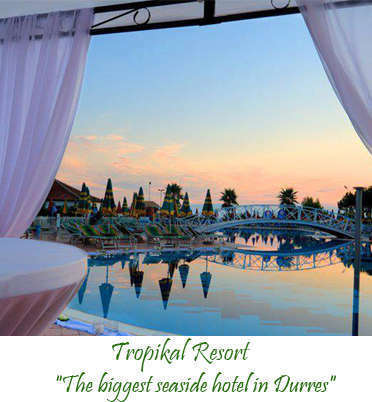 Believe us it is an ideal place for your journey in Tirana. Modern, comfortable, refined. 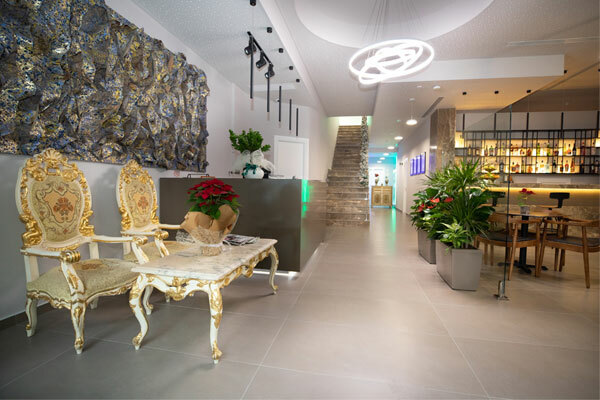 Due to its privileged position every business, leisure, art, culinary, social activity, shopping or any other facility is just a short walk away. When you enter inside, you feel impressed by the modern design, starting from reception, the bar, and big stairs leading you to the rooms. The reception is situated at the entrance of the main hall. It is always opened for guests at any time. The staff is always polite, with a friendly smile. 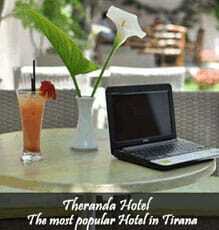 They will provide you useful information regarding landmarks of Tirana, activities and attractions of different kinds. In front of the reception you see the nice bar of the hotel, which has two parts, one part is smoke-free ant the other part can be used as a smoking area. The service is always excellent. The bar is open from 7.00 to 23.00h. You can savour Metro’s abundant variety of beverages at any time of the day. The rooms are all white, with very modern design. Each of them has different shape and is decorated with style. Starting from King rooms, to Twin rooms and Budget rooms, all are spacious and equipped with everything you need, especially for business people who want a special place to work. They also care about persons with disabilities and a Mobility Accessible room is dedicated to them. The prices are very affordable comparing with other hotels in the same area. 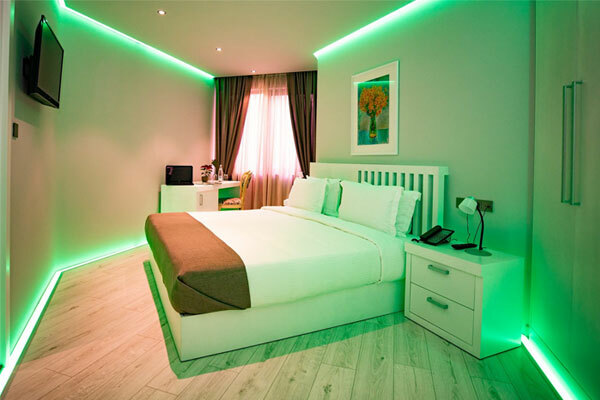 With such a modern and beautiful place to accommodate yourself and with this prize don’t hesitate to book your room here. Built in 2018, everything is new and fresh. 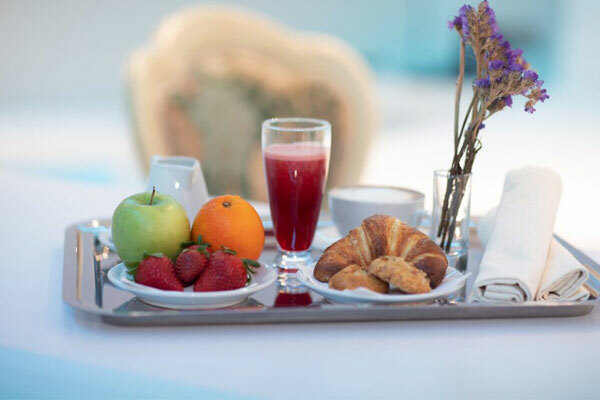 After a nice sleep you will have the food you deserve to start your day in Tirana. Continental and buffet breakfast options are available each morning at Metro Hotel Tirana. The staff and service are professional and enthusiastic, dedicated on providing the guests with the most complete stay experience on Tirana. Metro Hotel is within just 1.4 km of Skanderbeg Square and 366 m of Sky Tower. Dajti Express is 5.8 km from the hotel and National Sport Park is 5 km away. National Theatre of Opera and Ballet is 1.9 km from Metro Hotel Tirana, while National Arts Gallery is 2.1 km away. The nearest airport is Tirana International Mother Teresa Airport, 17.7 km from the hotel. According to guest reviews this is the perfect choice in Tirana.